More and more people are taking their health into their own hands! People are becoming more educated about and aware of the dangers of synthetic materials, toxic chemicals and artificial materials in the products they use. Over the past several years, there has been a huge surge in the want and need for all-natural and safe products. That is one of the reasons I began handcrafting a variety of all-natural and organic skin, bath & home products ~ to provide safer alternatives for those looking to rid toxins from their homes. 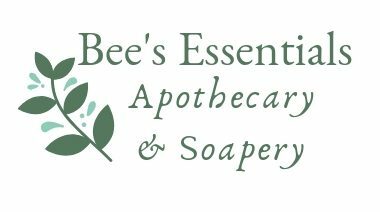 Over the past several months, I have had many of my wonderful customers ask me if I would be branching out and creating more all-natural and organic skin care products. After speaking with aromatherapists, skin care specialists , and conducting TONS of research, I am excited to announce that I will be expanding my skin care line in 2018! These past few weeks I have been busy creating and using these new products to make sure I have the best ingredients and blends and that the products are just perfect for you! My new skin care line will carry several powder, clay-based masks (think turmeric, French pink clay and goat’s milk), a variety of essential oil & hydrosol based facial toners, several Goat’s milk & honey facial soaps (including activated charcoal & tea tree and bentonite clay & cedarwood) and an ever-so gentle and hydrating facial serum. And, not to leave the men out, I am currently market testing my Goat’s milk & honey shave soap! If all goes well, this should be ready by March 2018 also! Can’t wait to share these wonderful handcrafted creations with you!! Be on the look out!